Uh. Her birthday was in March LOL. 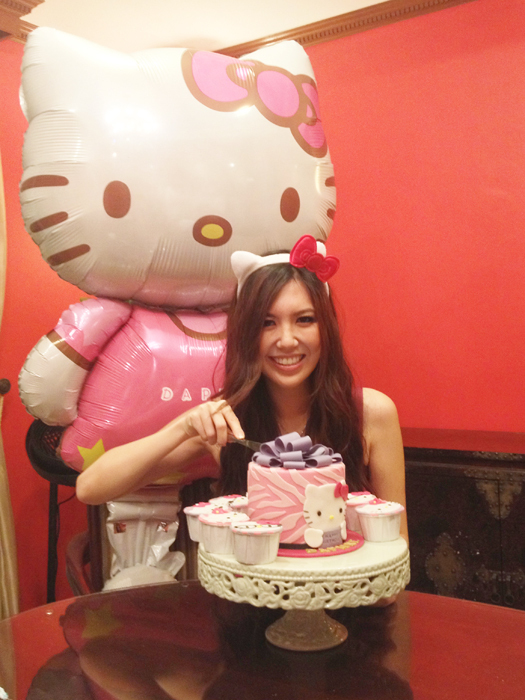 Anyhow she held a get-together at her place with a Hello Kitty/pink theme! 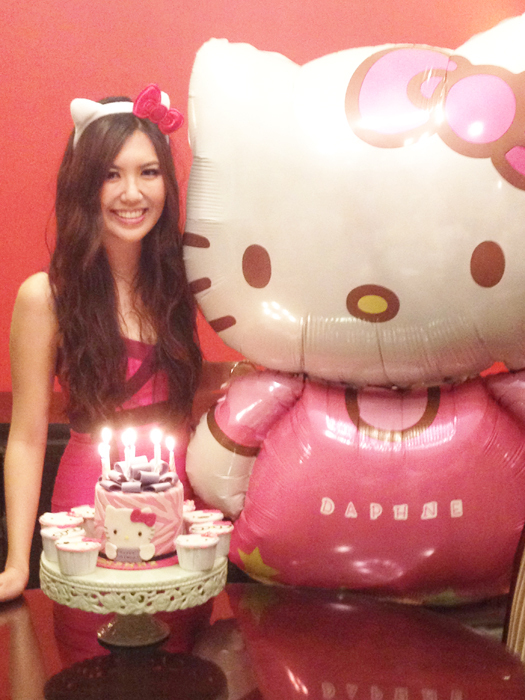 Daphne with her giant Hello Kitty balloon & customized Hello Kitty cake! 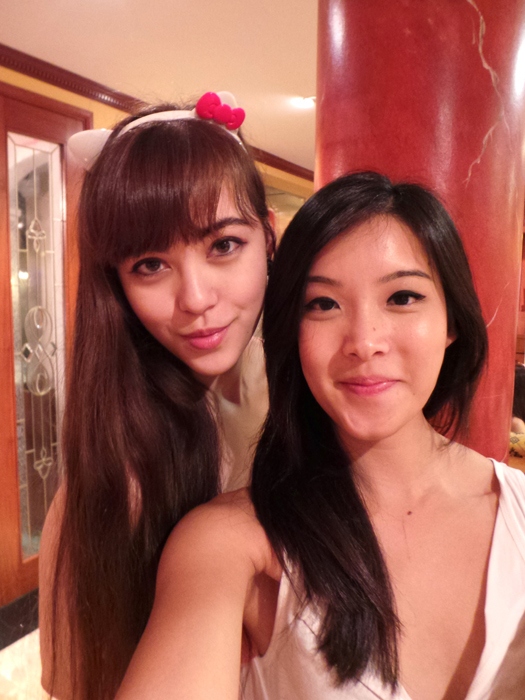 With Hazel & my Hello Kitty hairband (from H&M)! With Giselle, Hazel & the birthday girl Daphne! 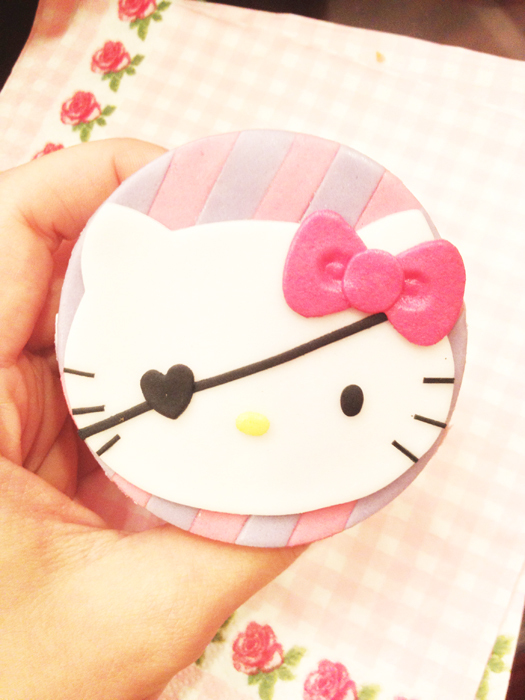 Very cute Hello Kitty cake! If I remember correctly I think it was lychee martini flavoured? 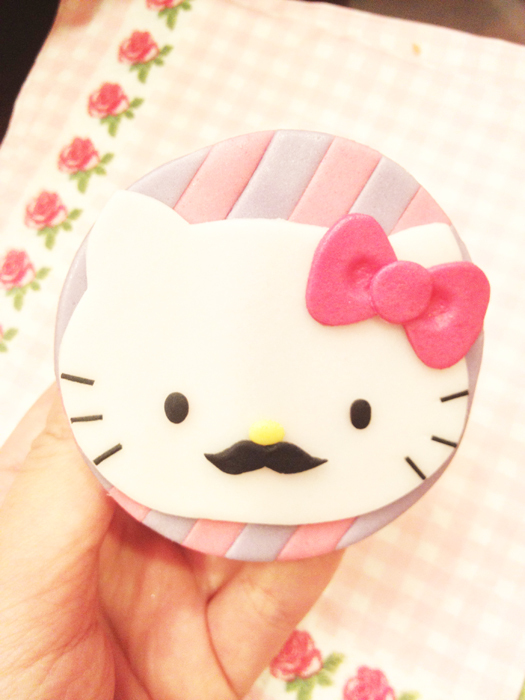 And even cuter Hello Kitty cupcakes! Everyone (ok the girls) loved the designs! 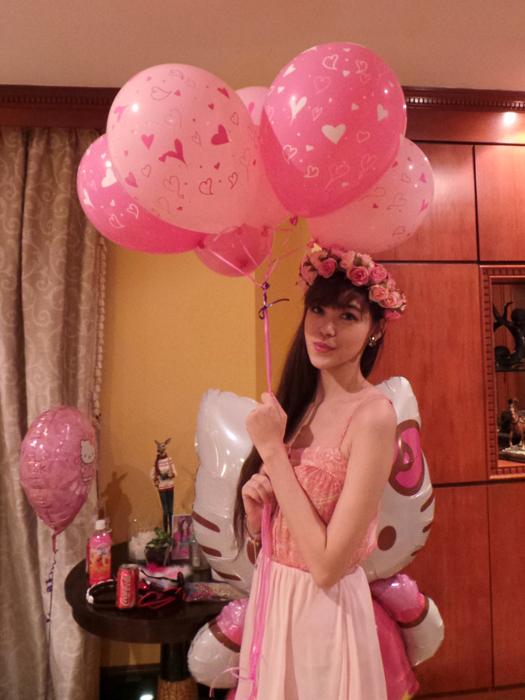 So much Hello Kitty in one picture haha. 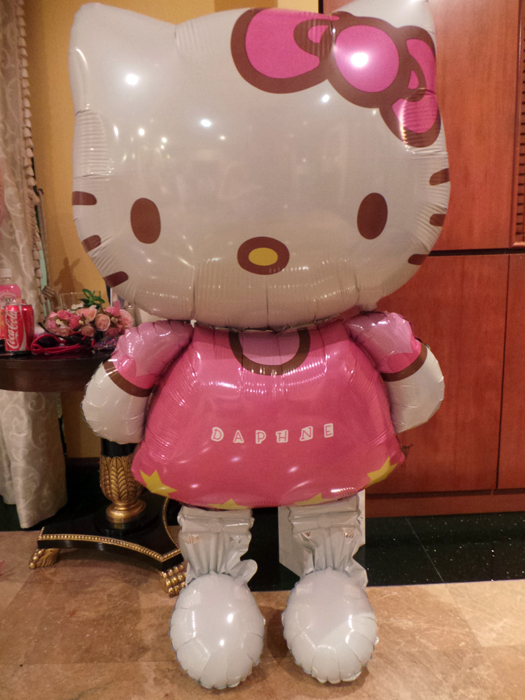 Too bad she isn't wearing a Hello Kitty dress. Please don't ask me where she got them from! You can bring designs to any baker of your choice & ask them if they're able to do it (she picked the design herself). 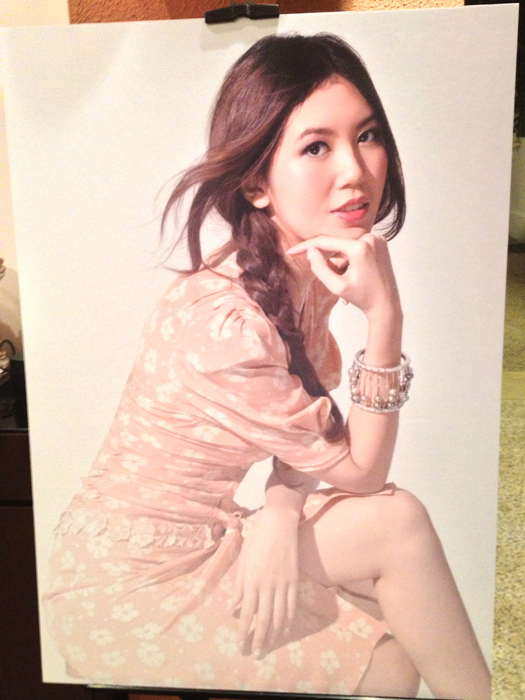 A poster of Daphne that welcomes you at her house hahahaha. But she looks great here! She's done some other shoots as well because she's been featured in magazines! 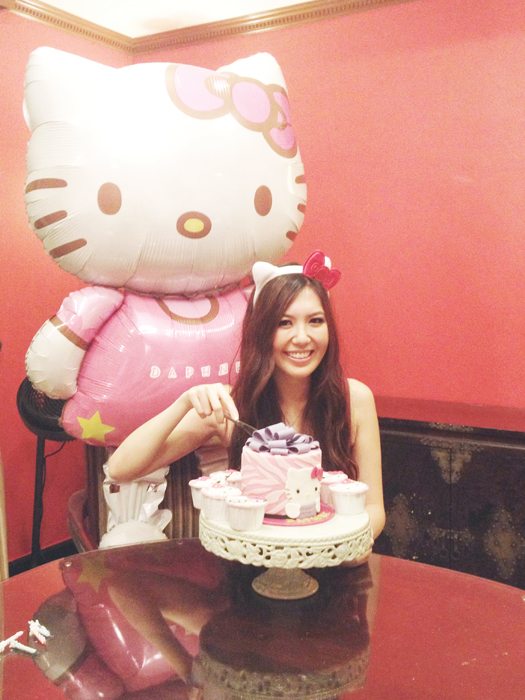 So any questions regarding the Hello Kitty balloon/cupcake (anticipation) please ask her lolol. And oh yah awseome 1-bar wifi at my house -_- But nah it's fast enough for my phone haha. For those of you who don't know, switching to iPhone 5 means you don't have unlimited data anymore T_T So at home I use my wifi! 9 comments on "Daphne's birthday!" 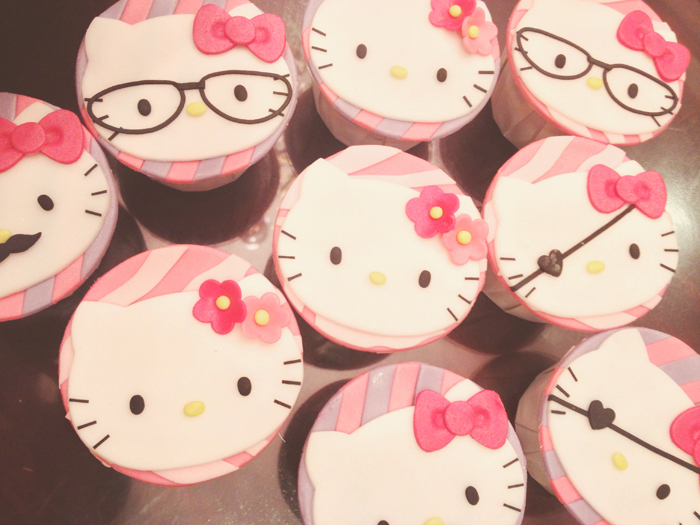 Those Hello Kitty cupcakes are too cute!! I super love your Hello Kitty headband!!! It's actually in my Formspring Bio. But I put on weight liaooooo... Now it ranges from 52 to 54kg. Like a month ago I think I was 50-52kg haha. Dammit. I put on once I started work. hey sophie who's the guy on the extreme left (black studs) in the first group pic? he's cute!